The three-day 13th Joydam festival of the Deori community has been underway at Chowkidinghee field in Dibrugarh. The festival, which was inaugurated on Sunday, will be wrapped up on Tuesday. The festival is being jointly organised by Dibrugarh Deori Unnayan Samiti, Dibrugarh district unit of All Assam Deori Students’ Union and Mehubasi Jaksa. 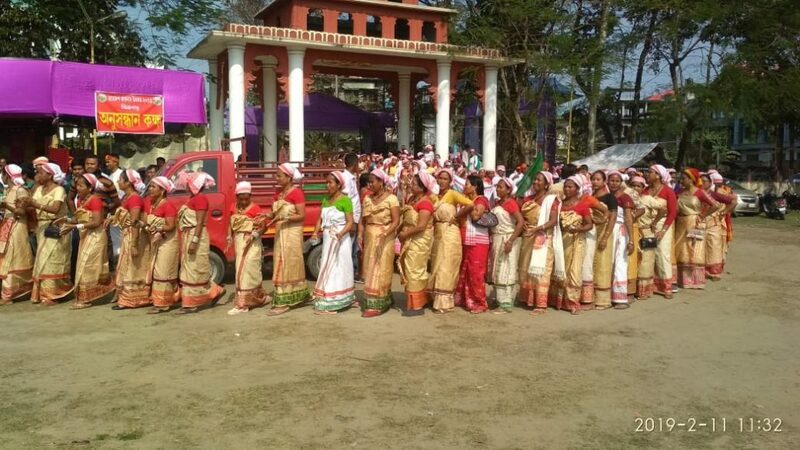 The people belonging to the Deori community of Assam and Arunachal Pradesh have gathered at the festival in large numbers wearing their traditional attires. Bimal Deori, cultural secretary of the festival said the main objective of the festival is to showcase the rich cultural heritage of the Deori community. ”We are the primitive community living in Assam and Arunachal Pradesh. Our community is rich with different cultures, traditions and our food habit is also different from others. So, we have created a village-like atmosphere here where everyone can get glimpses of the rich culture, tradition of our community,” the cultural secretary of the festival told the Northeast Now. He also said they have organised Deori Bihu dance completion in various age groups. “Last year, we organised the festival in Arunachal Pradesh but this year we decided to organise the festival in Dibrugarh because many people from our community live in Dibrugarh,” said Bimal Deori. People from all walks of life gathered at the festival site to enjoy the festival which has been organised for the first time in Dibrugarh. “Our culture will be displayed in the three-day festival where the people from other communities can know us closely,” said Deori. Ethnic food stalls and other stalls have also been installed at the festival. 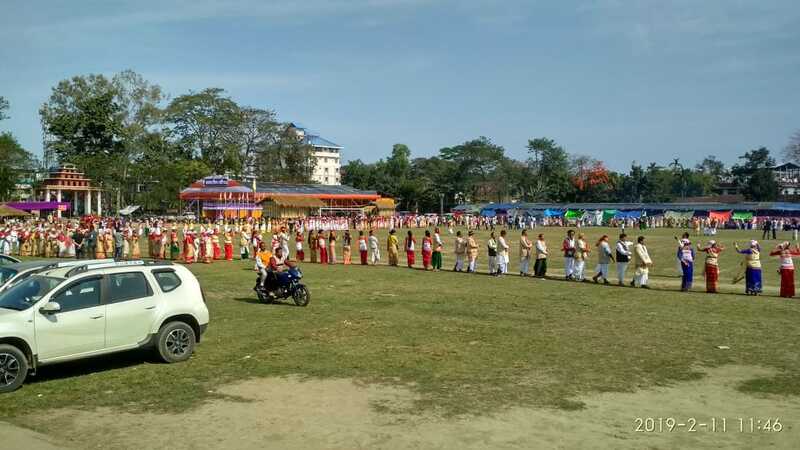 A huge cultural procession was also taken out in Dibrugarh as part of the festival. Deori people wearing their traditional attire participated in the colourful procession. On Tuesday, the concluding day of the festival, a seminar will be organised on the topic ‘ Identical crisis of indigenous Deori ethnic culture and its action plan for preservation and development’. The seminar, to be started at 9 am, will be chaired by writer Dr Saranan Deori. The pannelists are former president of Deori Sahitya Sabha Dr Ratneswar Deori; noted intellectual and writer Indibar Deori; Deori Sahitya Sabha president Leela Deori. The seminar will also be attended by Sahitya Akademi translation award winner Bipul Deori; Deori Sahitya Sabha secretary general Prabin Deori and Ramakanta Deori, additional PCCF (P&D), Andaman. A cultural competition will be held at 2 pm. Prize distribution will be held at 4 pm. A competition on the attires of the Deori community will be held at 5 pm. A cultural nite will begin at 7 pm.